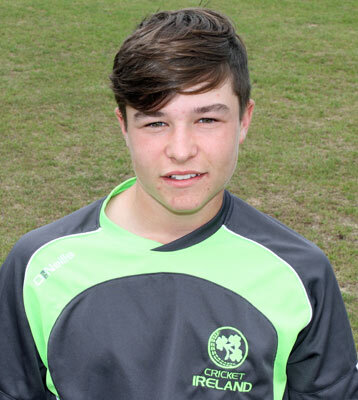 Doheny thumped 7 fours and 6 sixes as he top scored with 90 from just 43 balls as Ireland racked up 210 for 8 in their afternoon clash with Bath. He dominated stands of 66 and 58 for the second and third wickets with Gareth Delany (28) and Aaron Gillespie (40). Three wickets apiece from Jupp and Rouse saw a slight wobble but Graham Kennedy's breezy cameo of 23 from just 8 balls (3 fours, 1 six) ensured a strong finish to the innings. 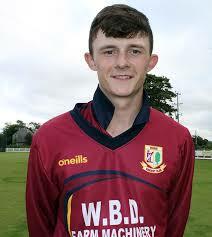 Delany then took 3 for 14 as he and Ross Allen (1-23) saw the Irish youngsters open with spin at each end. Mount (50) and Scrivens (36) added 90 for the fourth wicket without ever threatening the ever increasing required run-rate as Ireland won by a comfortable 67 runs. Tyrone Kane took 2 for 30, while Kennedy and Rory Anders each picked up a wicket. The morning match saw Ireland complete a fine chase to beat Gloucestershire by five wickets. Chasing 156 for victory, skipper Neil Rock ensured they won with three overs to spare as he clubbed five sixes in a whirlwind undefeated 46 from just 25 deliveries. Jack Tector's 27 from just 11 balls (3 fours, 2 sixes) got the innings off to a flying start as he and Gareth Delany added 52 in an opening stand, with the Leinster skipper hitting seven boundaries in his 37 from 27 balls. Rock and his Rush counterpart Doheny took Ireland to the brink of the win with a fourth wicket stand of 69, with Doheny hitting 3 sixes in his 42 from 30 balls. Earlier Pembroke leg-spinner Fiachra Tucker took 2 for 28, while Jarred Barnes also claimed a brace, including the wicket of Scottish international George Munsey. South African Gregory Willows top scored with 50, while Jack Taylor (30) and Will Tavare (27) were also among the runs as they made 155 for 5. The Academy have no games on Monday before finishing their mini-tour with 50-over games against Gloucestershire Seconds and an ECB Development XI.